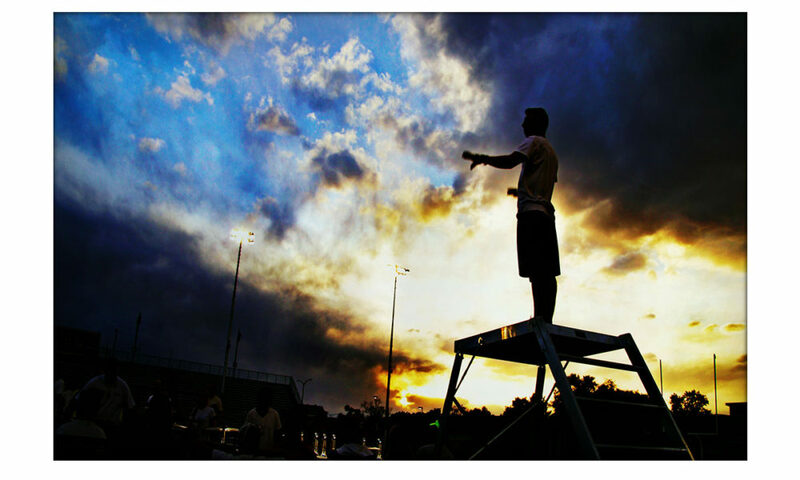 Posting a daily blog during the drum corps season helps one drum major keep in touch with all parents and fans as well as showcase growth and gain perspective. “You know, back in my day, none of the members had cell phones or even a way to keep in touch at home,” explained our director, half sarcastically, half seriously. That conversation was the first spark that inspired me to keep a daily blog during my age-out season in 2014 as a drum major for the Blue Knights (BK) Drum and Bugle Corps. Although members now have many ways to stay in contact with people outside of the activity, I wanted an easy place for all of the parents, alumni, and anyone involved with our organization to be able to know what we were doing every day while on tour. I wrote a post every day that provided the date, the town we were in, a single word or phrase to summarize the day, at least one photo, and a paragraph or two explaining what we did. Knowing that this kind of response was coming from people who did not know me and only wanted to see the growth of our corps was the fuel for keeping up with these posts on tour. 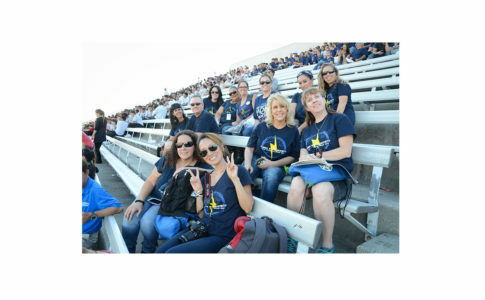 This blog was my way of showing the dedication of our staff in growing our members every day and the dedication of our members to this organization, to this activity, both on and off the field. Some days were certainly easier to write than others. For example, writing on the bookends of tour was easiest because the excitement of starting and ending tour and the contrast of where we thought we would be and where we ended up made the words flow. But did I write that? Of course not. I knew that if I gave off any feeling that was less than enthusiastic about what we were doing, then that attitude would trickle down to the rest of the corps (as well as everyone reading the blog), and we wouldn’t achieve success through poisonous attitudes. So not only was it important for me to write every day, it was also important for me to find things to write about that helped maintain and boost morale. Not every day was a walk in the park, but I was able to find exciting and positive things, sometimes little things, to share on my blog. Here’s what I learned from watching the members develop and seeing myself develop (in retrospect) through documenting that season with the Blue Knights: Do something that you love every day. Because doing something every day that you love makes you a better version of yourself. And after three years of watching my 150 brothers and sisters do what they love to do every day, pushing myself to be the best leader I could for them every day, and making the time to reflect on the personal and organizational growth through a blog post every day in my last season, I can wholeheartedly say that committing to your passion every day makes you a better version of yourself. And on the other side of that summer, you will be a better version of yourself. 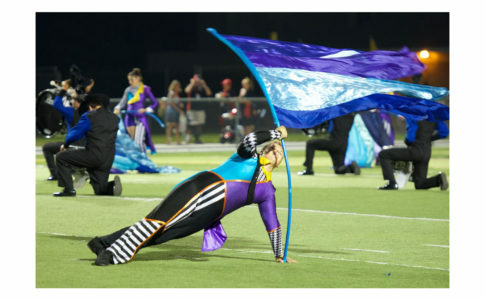 CJ Garcia was a drum major for the Blue Knights Drum and Bugle Corps from 2013 to 2014 and was backfield conductor in 2012. Through Ascend Performing Arts, he also helps lead seminars on musical leadership for high school band programs. In 2015, CJ earned his degree in music composition from the Lamont School of Music at the University of Denver and is currently working at MakeMusic as an engraver for SmartMusic. To read archives of CJ’s blog, visit the page “Off the Field with the Blue Knights” on Facebook. Photo courtesy of Domani Barkley.